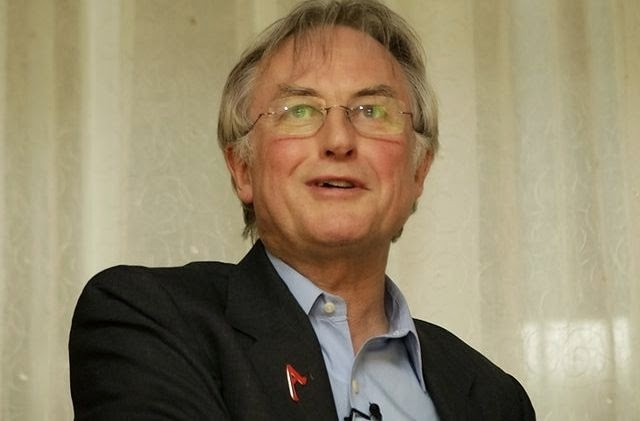 Filipino Evangelist Calls Evolutionary Biologist Richard Dawkins "The Freakiest Of Freaks"
One of the most outspoken critics of religion is the English evolutionary biologist and author Richard Dawkins. The God Delusion, a book considered by many as one of the best anti-religion tomes ever written, was penned by him. Dawkins doesn't hold back in his criticism of religions especially Christianity. For this reason, he is considered an enemy by many among the ranks of the faithful. Among them is Eliseo Soriano, a controversial Filipino evangelist who heads his own ministry called Members Church of God International or MCGI. In his blogs and social media accounts, Soriano regularly lambastes Dawkins. In a new website called Controversy Extraordinary which his ministry runs, Soriano has written a series of blog posts attempting to take down the works, ideas, and other utterances that Dawkins had made. Most of Soriano's anti-Dawkins remarks were caused by a particular passage from The God Delusion. Said passage is from chapter two of the book and it goes this way, "The God of the Old Testament is arguably the most unpleasant character in all fiction: jealous and proud of it; a petty, unjust, unforgiving control-freak; a vindictive, bloodthirsty ethnic cleanser; a misogynistic, homophobic, racist, infanticidal, genocidal, filicidal, pestilential, megalomaniacal, sadomasochistic, capriciously malevolent bully." In said blog posts, Soriano painted Dawkins as one who is much less intelligent than him and one who turned to atheism because of his love for sin. The evangelist's brethren and followers ate it all up as evidenced by the comments on his blog posts. One commenter says, "Dawkins is a monster." Another one says, "Dawkins is insane." In one of his most recent pieces, Soriano referred to Dawkins as "the freakiest of freaks". What merited such a bold utterance from the evangelist? It's the quote from the evolutionary biologist's book which we just quoted above. As he always does in his writings, Soriano tries to refute Dawkins' contentions by quoting a barrage of passages from the Bible which is a rather tiring tactic of Christian apologists. You can point Soriano to the mountain of evidence supporting the theory of evolution but he will dismiss all of it then top it off by reciting Genesis 1:1. And this is exactly what the evangelist does every time he writes about the likes of Dawkins, evolution, and other scientific facts that go against his faith. It's also ironic that the Bible passages which Soriano presented as refutations of Dawkins' assertion that the Chrsitian God is a "jealous" entity and an "unforgiving control-freak" paints a picture of a God that is jealous and a control-freak. When asked why God would do such annihilation of people, Soriano and his ilk often say they deserve it because they are evil or they've been given time to repent but they did not. Like kittens in front of a bowl of fresh milk, Soriano's followers licked up the evangelist's refutations without so much of a hesitation. The comment section is a pool of agreement. This is of course not surprising. However, some commenters went the extra mile and called Dawkins a "monkey", "wicked", a "loser", and a "retard". Some of Soriano's followers have been goading the evangelist to challenge Dawkins to a debate. This might explain the barrage of anti-Dawkins articles that Soriano have been pushing online. "Freakiest of freaks" isn't the only unflattering words that Soriano used to describe Dawkins. He has also called him "delusional", an obvious play with the title of Dawkins' most well-known book. To the question of will Dawkins debate Soriano? Unlikely. The biologist has always been against debating evangelists. He was challenged numerous times by creationist Ray Comfort but he never took the bait and simply laughed off Comfort's challenges. Dawkins also did not agree with science educator Bill Nye's decision to engage well-known creationist Ken Ham in a controversial and much publicized public debate. From an educational standpoint, this is a good thing. Dawkins is better off writing books and articles on science and religion than debating evangelists who've shut their minds to stuff other than what's contained in the Bible.